Long skirt with black and beige colors. 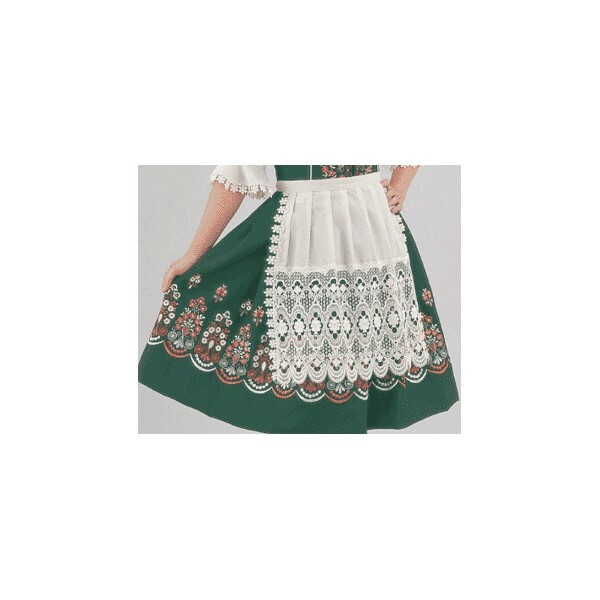 Ladies blue and green dirndl with sequined apron. Ladies Whitney blouse. Features black, sheer material. This waitress apron is one size only. Please call us for any questions. Short white blouse with beaded design around the collar.